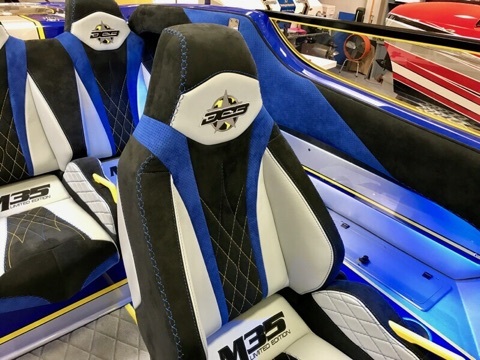 DCB has just finished up another brand new M35 WIDEBODY running Mercury Racing 1350’s and M8 drives. This stunning blue and silver monster is soon to be on its way to the happy new owner in Alberta, Canada. 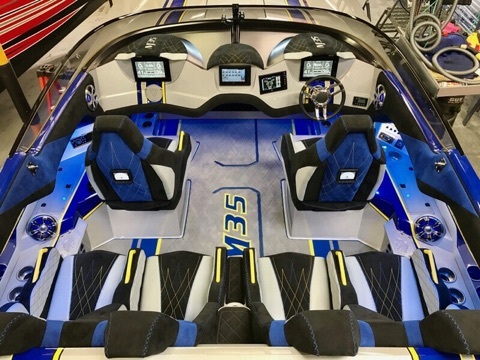 Like many new top of the line boats these days, this new M35 is sporting all digital displays without old style analog gauges. 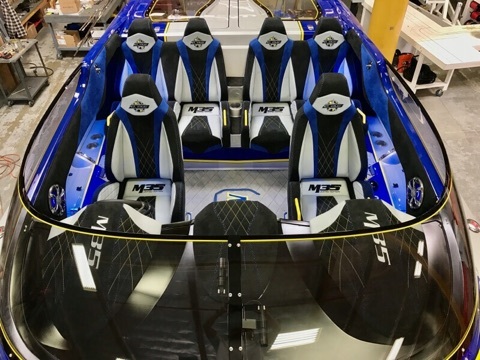 Always making sure that their customer receives the finest product, extensive testing was done to ensure maximum performance. 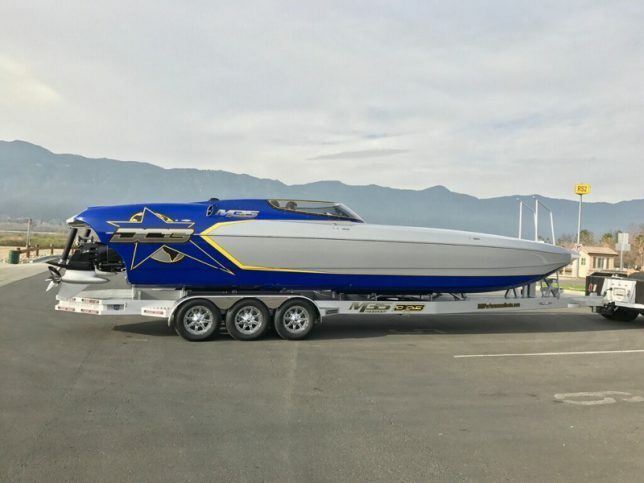 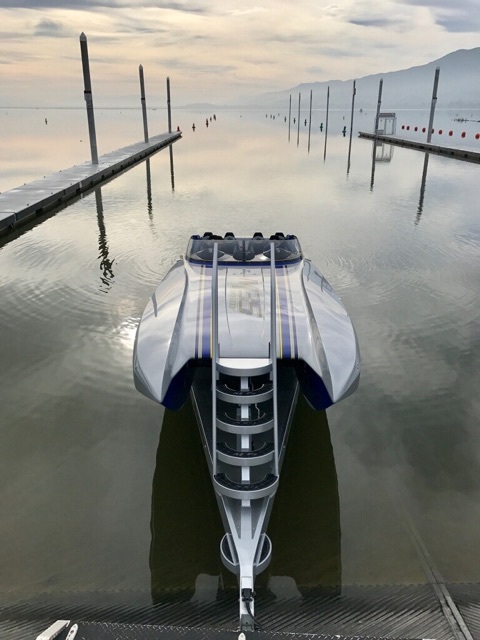 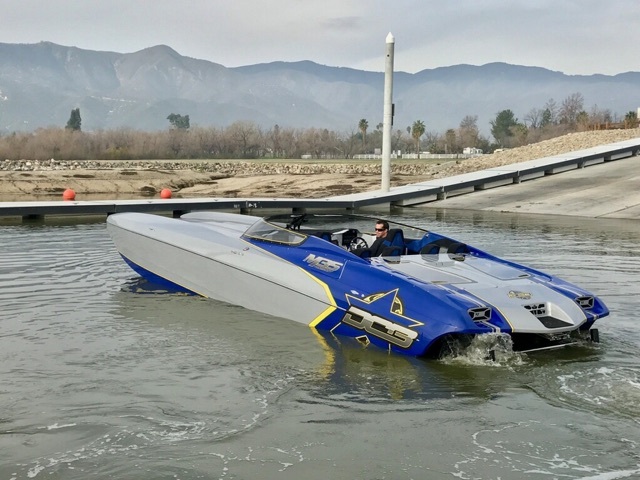 During testing the boat ran 165mph @ 6500 RPM with 1.30 gears. 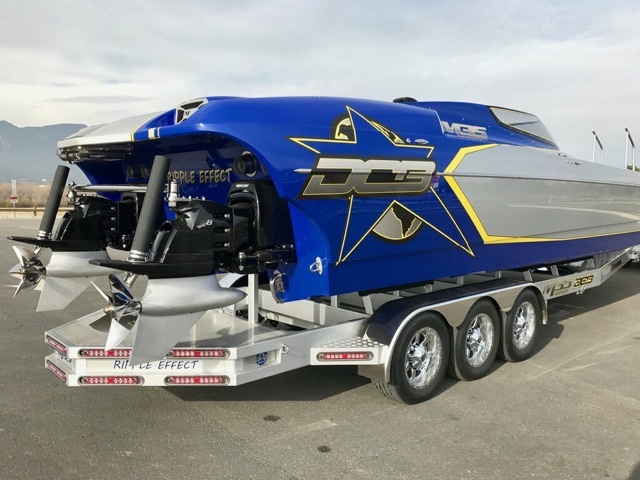 DCB says the boat will run 173-175 with change to 41″ diameter props.